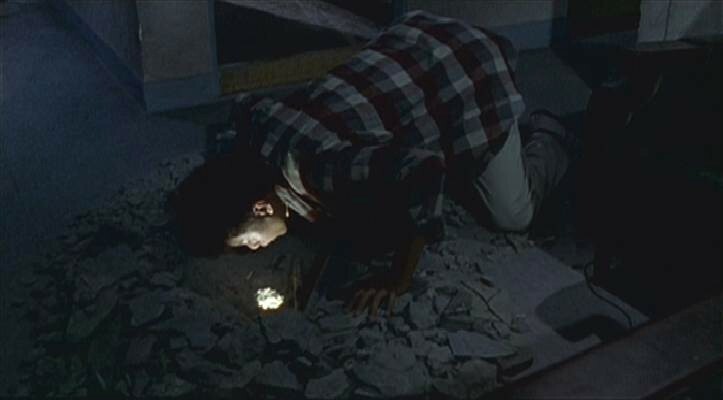 Commissioned as part of the 2000 Seen By… millennium project, The Hole, Tsai Ming-Liang’s 1998 feature, takes place at the turn of the millennium amid the pandemonium of a mysterious, rapidly spreading virus that’s confounding the health community. Declaring a state of emergency, officials have ordered residents to evacuate the afflicted area, and have warned that services such as water will be shut off soon. The widespread exodus has left the city nearly deserted. 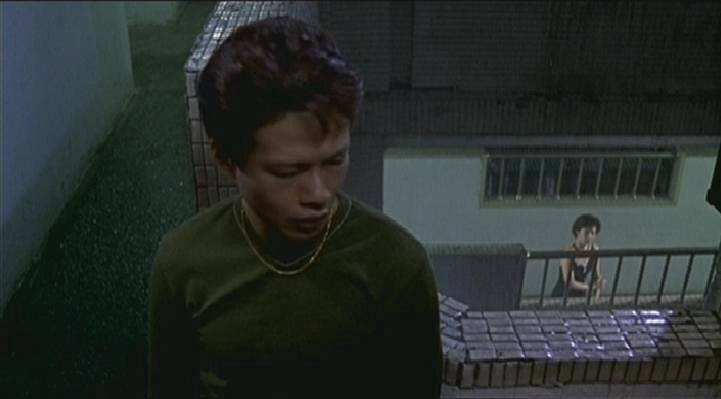 The action largely takes place in an apartment building where a woman, played by Yang Kuei-Mei, is besieged by severe plumbing issues apparently originating from the apartment of the man, played by Lee Kang-Sheng, above her. The plumber she’s enlisted visits the man upstairs to track down the leak. The job is never completed and a gaping hole is left in her ceiling, exposing the personal spaces of the as-yet-unacquainted neighbors. In a conventional romance, this would be the happy accident that unites, by way of the persistent pressure of proximity, the incompatible couple by fateful convenience through a series of comic incidents. 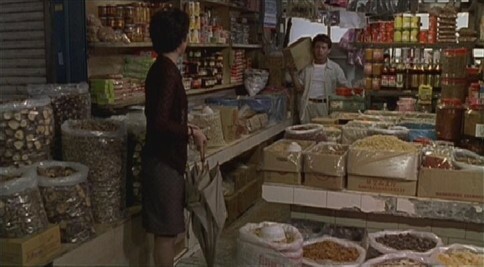 In the world of Tsai Ming-Liang, however, we get a dramatic departure from convention and insistent genre, and at the same time, a continuation of his exploration of societal dysfunction and the loneliness that arises from the ensuing alienation. Not content to merely turn his back on convention, Tsai Ming-Liang keeps it in play, evoking the out-of-phase loneliness and alienation with deadpan humor. The hole that connects the two apartments constitutes both an empty void and a hopeful opening. One of Tsai’s many framing devices, the hole on one hand acts as a mirror for absence--the neighbor out of view--and on the other hand, a frame for the spied--upon neighbor, and the potentiality for w[hole]ness and fulfillment. Tsai continues to demonstrate adept dramatization with scarce dialogue. The lack of vocal interaction between characters is offset by a hyperactive realism that’s more revealing than contrived conversation would be. Though Yang Kuei-Mei doesn’t have all that many speaking lines, she sings and dances plenty as The Hole shifts in and out of musical numbers that transform the apartment building from dilapidation to glitz. These musical numbers are pliable in that they work as a character’s self-conscious fantasy sequence as well as that fantasy’s juxtaposed symbolic reference, all the while maintaining the metanarrative play and paying homage to the legacy of Grace Chang and that era’s nostalgic remembrance. Tsai’s approach approach to characterization involves getting intimate with his characters, but not attempting to penetrate the enigmatic casings of their core; he does not want to deconstruct them for purposes of character study and clinically induced plotlines. One gets a sense that this “cinema of the moment” is still ongoing and far from resolved. The players aren’t simply the actors, but the surroundings and objects as well. The television set, a returning cast member, has its share of speaking lines and turns in a balanced performance of breaking news and commercial levity. The camera gives equal time to the characterization of person, place, and thing. Rather than standing for advertising revenue, consumer products constitute legitimate casting in a commentary on commodification. The Hole deserves top marks for its originality and aesthetic achievement, and successive viewings only enhance the film’s impact.